Gilmore Girls, 5 reasons you need to be watching right now. Have you ever watched the TV show Gilmore Girls? I’ll admit, I was late to the game, but there was no turning back once I started. I got into the series in about 2004 when the series was already 4 seasons deep. The reason I initially started watching, (aside from the raving recommendations from friends) is that one of the main characters, Rory, attends a highly snooty private prep high school, as did I, back in the day. I was lured into the show by the promise of a light take from an outsider’s view, into the madness of private prep schools, and after one episode I was hooked. But let’s back up a little, and talk about the 5 reasons you NEED to watch Gilmore Girls. Like I said, I joined the show 4 seasons into its 7 season run, and it was hot and fast from the get-go. The dialogue is hilarious, relatable wicked smart, with references I’m just now getting as a full-blown adult. 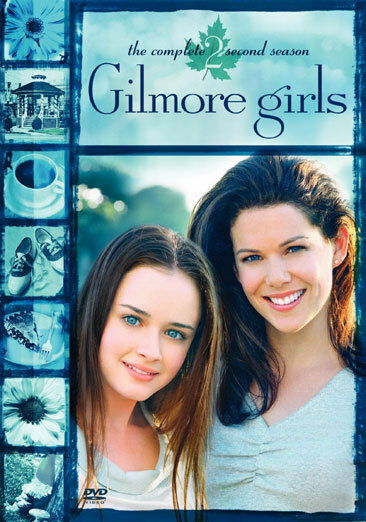 The story centers on Lorelai, a 30-something single, working mom and her precocious brilliant teenage daughter Rory, as they make their way through their lives in a tiny, adorable town in Conneticut. Lorelai is a former teen mom who fled her overbearing, wealthy parents and scraped her way up to the manager of the local inn, and Rory, her high achieving, Harvard-bound daughter. Lorelai’s parents are awkwardly, dryly hilarious, and the random cast of characters making up the fictional small town of Stars Hollow is perfection. I’m a sucker for small towns and all the crazy eccentrics that come with it. Stars Hollow has the perfect blend of tiny local businesses and characters who run them, like Luke, Luke, LUUUUUKE from the coffee shop, and the weird but totally lovable next door neighbors (Sally Struthers, anyone?). Plus the random assortment of charming local traditions makes me want to live there. Gilmore Girls was an early big break in the beginning of McCarthy’s career, who plays Lorelai’s totally neurotic best friend, and chef at the local inn. She’s so immediately lovable, stealing every scene she’s in from the minute she shows up on screen. I’ve been nothing but delighted her career has soared since the show ended in 2007. I’m a huge fan of the light + fluffy media genre, which I totally just made up. My life is hard enough without adding heavy media to the mix, so I love it when a smart show / book / movie hits the sweet spot of brilliant writing while maintaining the fun distraction. The story of Lorelai and Rory moves through tricky real-life issues in a heartfelt, sweet, approachable way without being saccharine. It’s the perfect mix of smart + sassy, and as addictive as a stack of once-you-pop-you-can’t-stop chips. I’m totally catching up (binge watching) Gilmore Girls so I can be ready for the reunion of the show on Netflix coming soon (squeeeee!). Have you seen it? Let me know if you watch so we can talk about Dean vs. Jess and Luke vs Max. In the meantime, here are some shows on Netflix I love to watch.